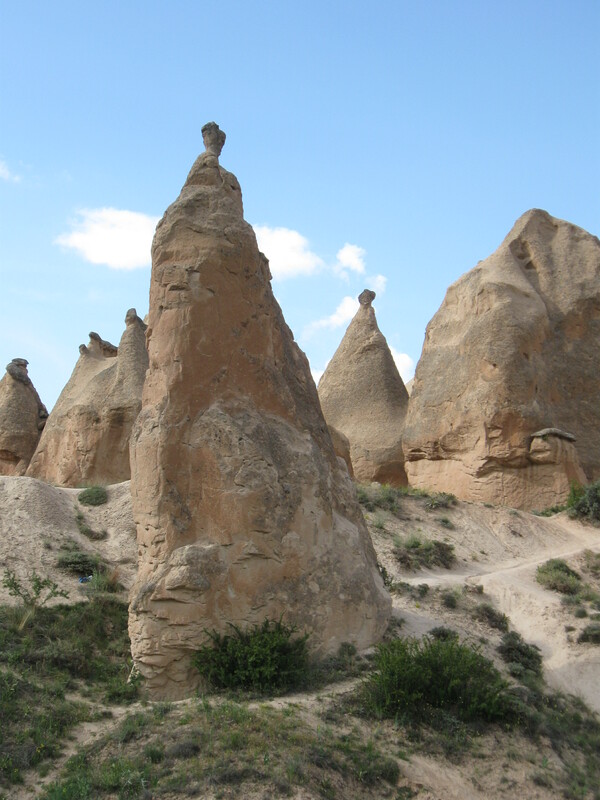 The rock formations of Cappadocia, in central Turkey, are unlike any others on Earth. They’re not only strange natural sculptures, they have a human history that spans centuries. Millions of years ago, ash from erupting volcanoes slowly hardened to tufa, and that stone, eroded over time by wind and rain, became the erry, convoluted shapes I’m seeing today. 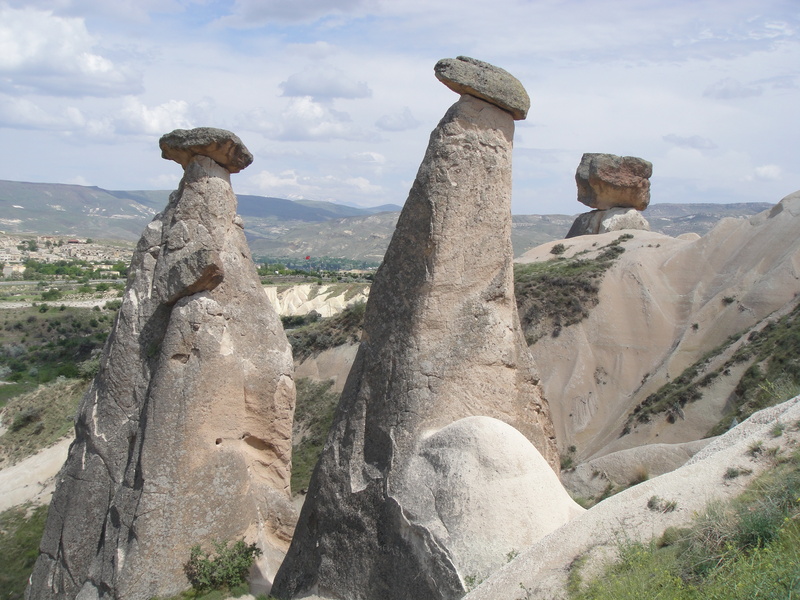 The harder granite didn’t erode as easily, and the result was “fairy chimneys”–huge cones topped by granite boulders. 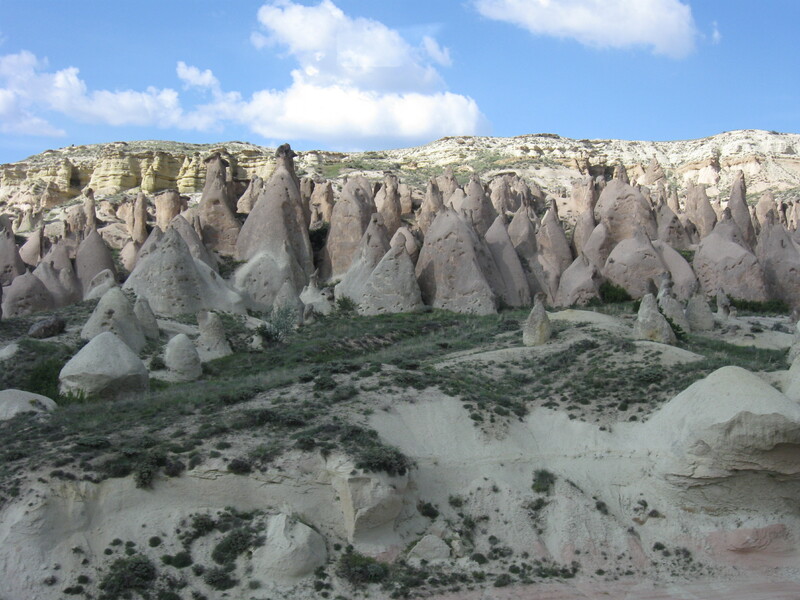 But that’s only part of what has pulled me to Cappadocia. 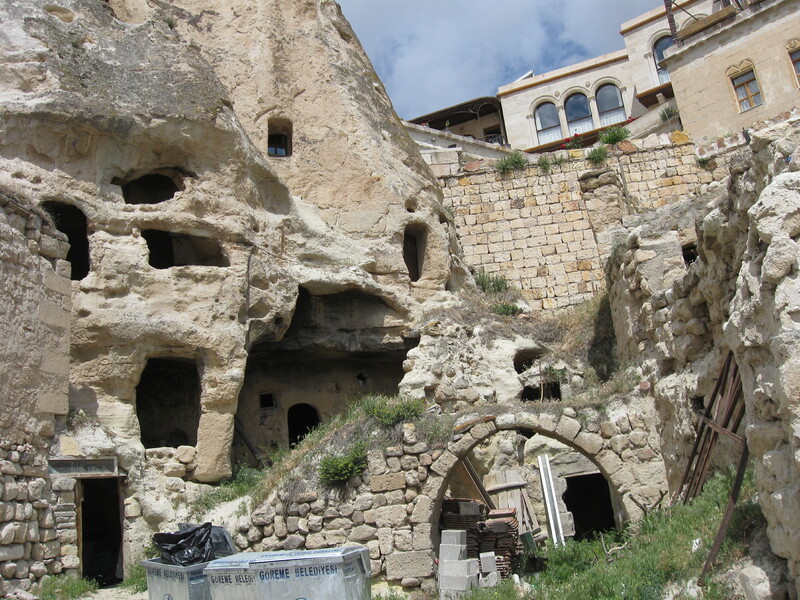 I’m marveling at the hundreds of dwellings and churches carved into cliffs, some still in use and even turned into cave hotels that tourists adore. 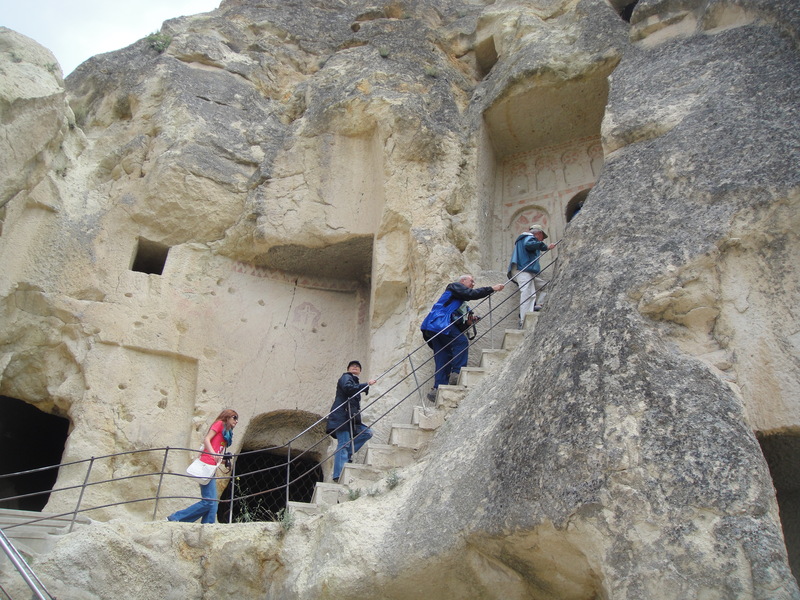 Turkey’s Goreme Open-Air Museum, about a mile from the village of Goreme, is a collection of cave churches carved out by Christian monks more than a thousand years ago. At this UNESCO World Heritage Site, I can see remnants of the Byzantine frescoes they painted on the stone, and the living and burial sites along hillside paths. There’s a fee to enter, and the best time to visit is early in the day (afternoon heat can be intense, and tour groups fill the place). Then there are the underground cities, built and used from ancient times as protection from enemies. 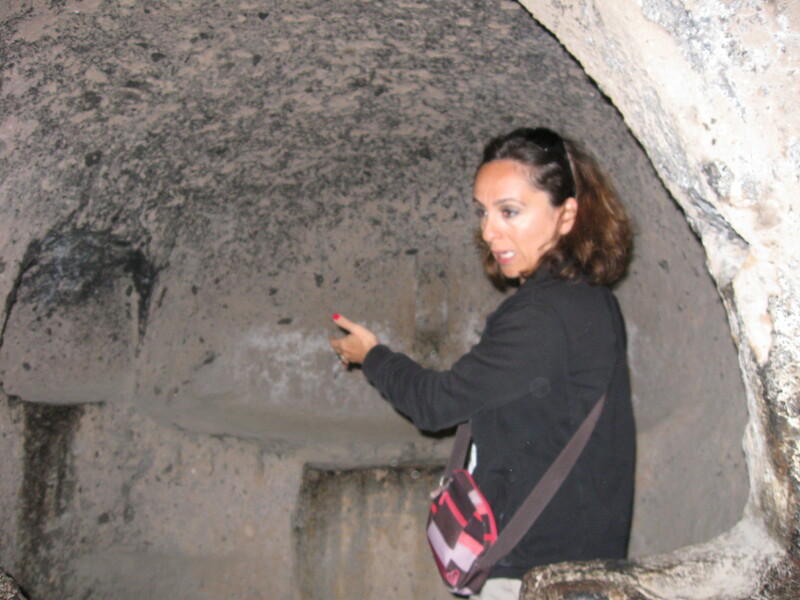 Early Christian churches began here, but even before that people were carving tunnels and spaces for living and storage. There are at least 36 of them in Cappadocia; the widest is Kaymakli and the deepest, nearly 280 feet underground, is Derinkuyu. Kaymakli goes down eight levels, four of them open to the public, with sloping passages and carved-out rooms and chapels around ventilation shafts. Thousands of people lived here with their animals, food from the crops they harvested, and wine. It is all quite amazing. The stony countryside seems dry and arid, but water streams in from surrounding mountains and creates fertile, life-supporting valleys. Relaxing by the pool at our hotel, Lykia Lodge Kapakokya, is a sharp and, I admit, pleasant contrast to crouching in underground tunnels, following the guide’s flashlight. 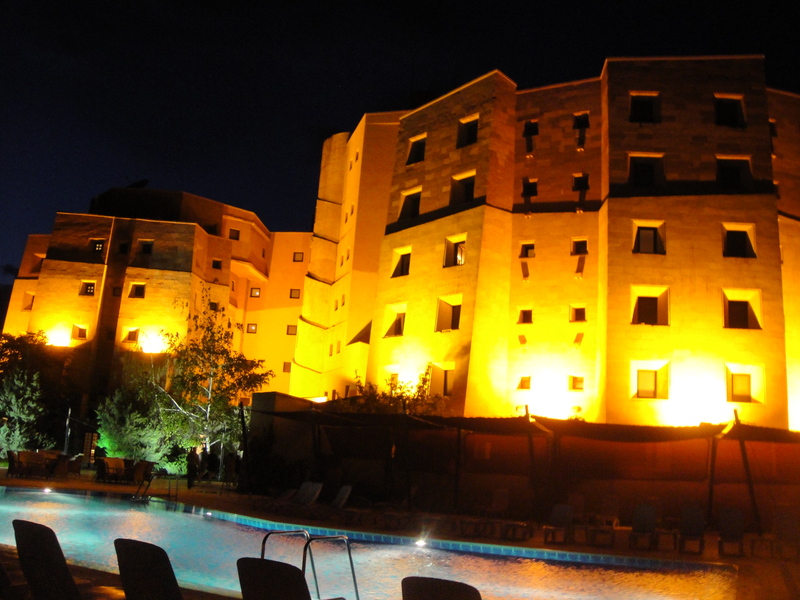 Lykia Lodge, in a park setting outside the town of Nevsehir, is modern and comfortable, and I recommend it. There are tree-shaded lawns, a tennis court and playground, a full bar in the lounge, and a restaurant serving traditional regional dishes. The excellent morning buffet has every breakfast dish imaginable: yogurt, cereals, fresh and dried fruits, egg and meat dishes, pastries. The place is favored by groups, but don’t let that deter you. There’s plenty of room for all. One thing I’m going to skip is the famous hot-air balloon ride over Cappadocia. I am told the views are spectacular, but I have trouble with adventures that involve rising before dawn. Maybe next time I’ll admire the fairy chimneys and twisted rocks from far above. The expert who’s teaching me to make pides, the pita-like Turkish bread, is too polite to laugh at my effort to wrap dough around a long wooden roller and flatten it into a big circle. How hard can it be? Harder than it looks. The thin dough tears, and she clucks and repairs the rips. Clumsy tourist, can’t even make a pide. She slides the circle onto a long-handled wooden paddle and the woman next to her, Ganja, pushes it into the stone oven. It puffs and crisps as it bakes, and everyone watching gets a taste. Then we go to lunch. 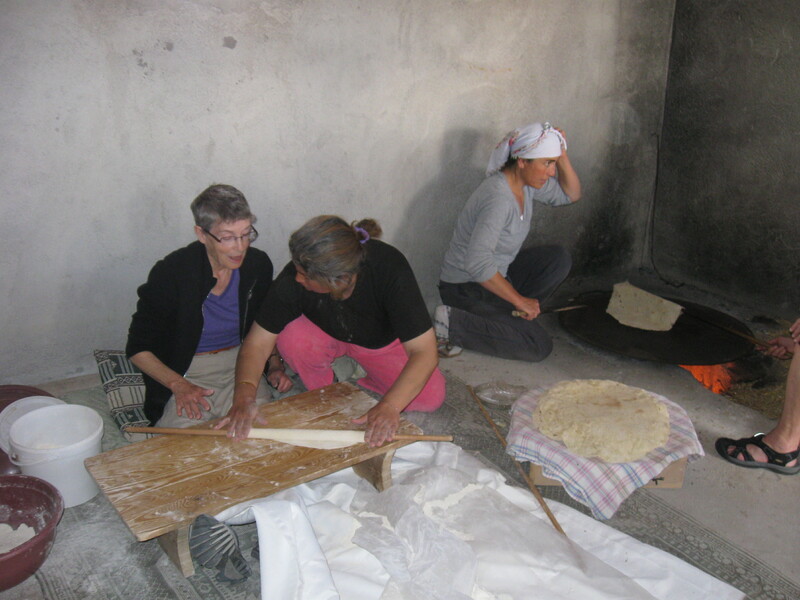 This is part of our little group’s experience of life in rural Turkey. 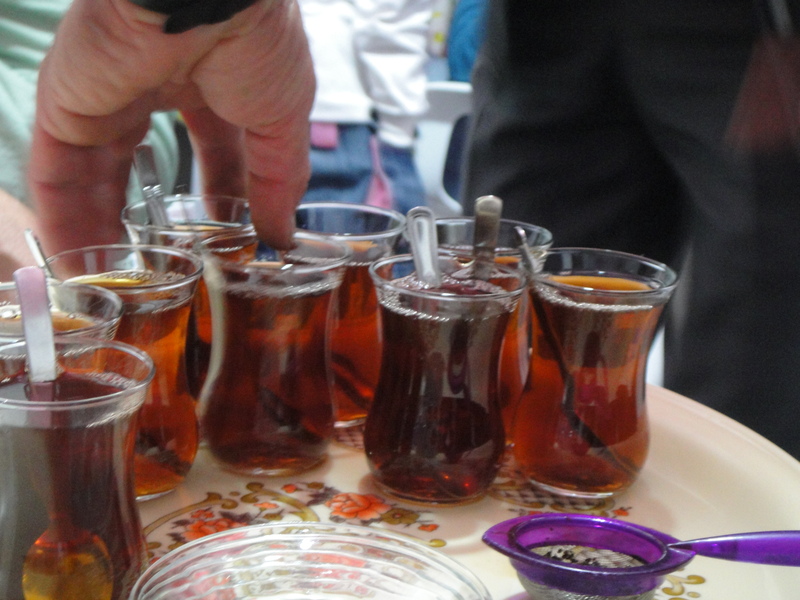 Overseas Adventure Travel makes it a point to give travelers a close glimpse of the reality of Turkey, not just the monuments, ruins and tourist spots. So here we are in Ilicek, a village of blocky houses scattered along dirt roads. All have gardens. Our hosts’ garden is bounded by stone walls, and they have a fig tree, chickens and a turkey (the first one I’ve seen in Turkey). 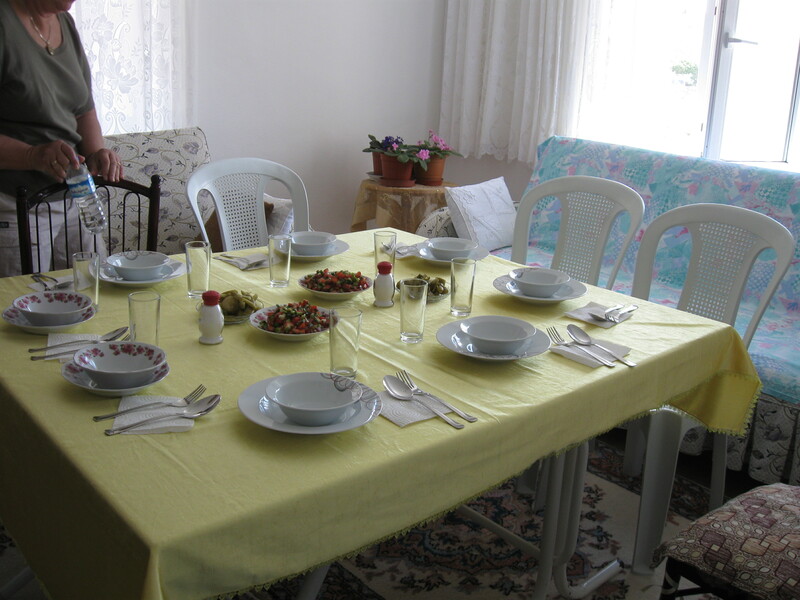 Upstairs, in the small living room, a table spread with a yellow cloth is set for eight. It’s a squeeze, but nobody cares. Ganja, our hostess, serves lentil soup with yogurt, barley and rice. Then a second course, a ravioli-type dish with meat, tomato sauce and yogurt. 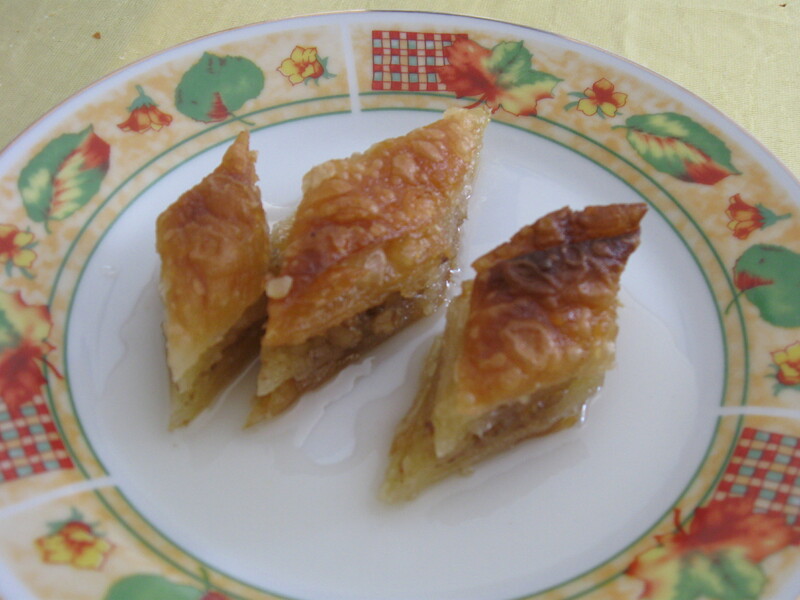 Fresh pide, of course, and sweet pastries. 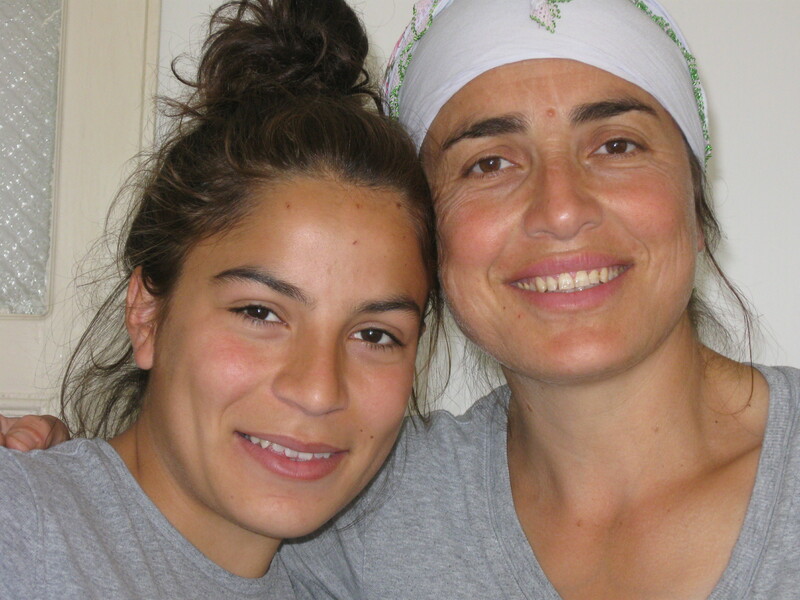 These people – Ganja, her beautiful niece Ebru, and the grandmother Babaneh – are incredibly hospitable. They smile a lot and tell us (via our interpreter) that they’re honored to have us. And we are honored to be here. We offer gifts of food we’ve purchased in an outdoor market and say tessekur (thank you) and hashtakal (goodbye). Further south is Akburun, a village on the shore of Lake Beysehir, the largest fresh-water lake in Turkey. 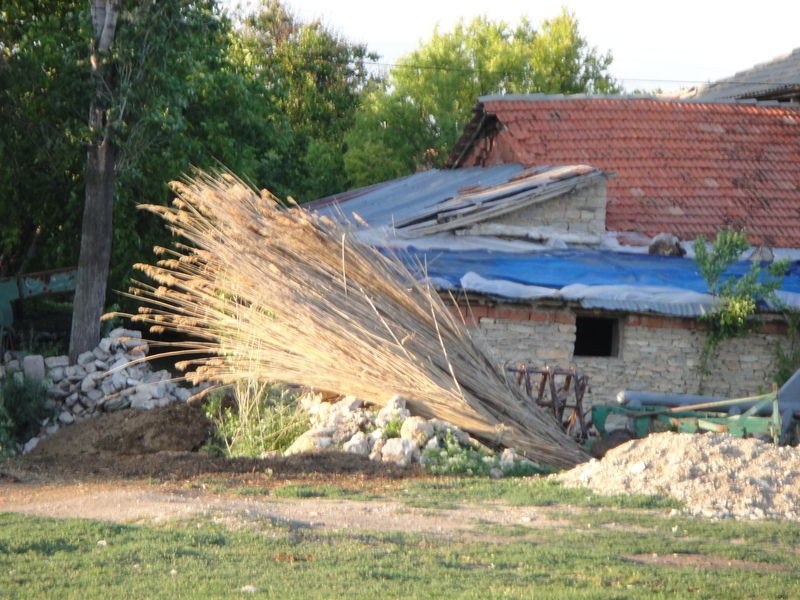 Reeds from its marshy edges are stacked by sheds and barns, waiting to be dried and, with poplar tree logs and thick layers of earth, used to make snug, well-insulated ceilings. Cows graze on grassy fields by the lake, and storks nest in high poles. Akburun has one main road, a small mosque, a store, and a garden beside almost every home. We’re warmly welcomed by our hosts, a 4-generation family sharing two connected houses, each with simple, comfortable sleeping rooms with mattresses on the floor. And lots of blankets, because it gets cold at night. 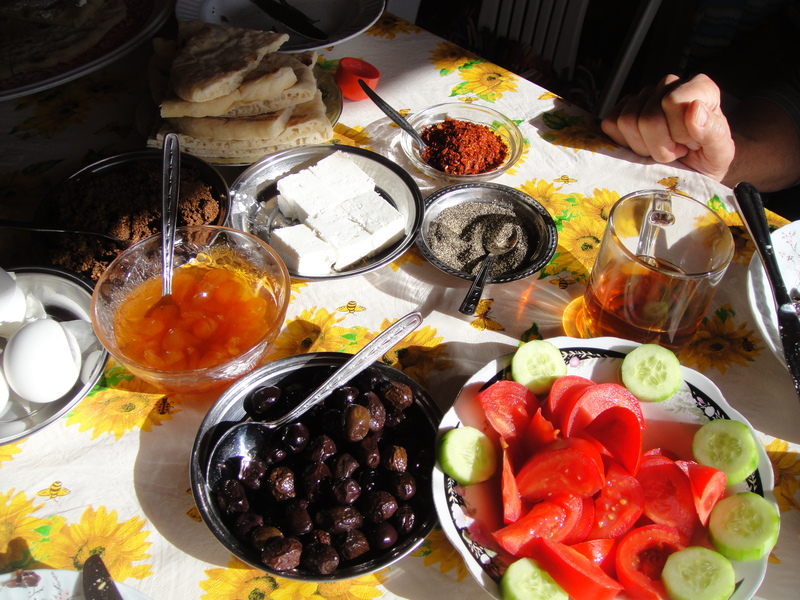 Dinner is a series of Turkish specialties: fabulous yogurt, chopped tomatoes, fresh bread, meat kebabs, glasses of tea. The yogurt and cheese come from the cows on the other side of the fence. 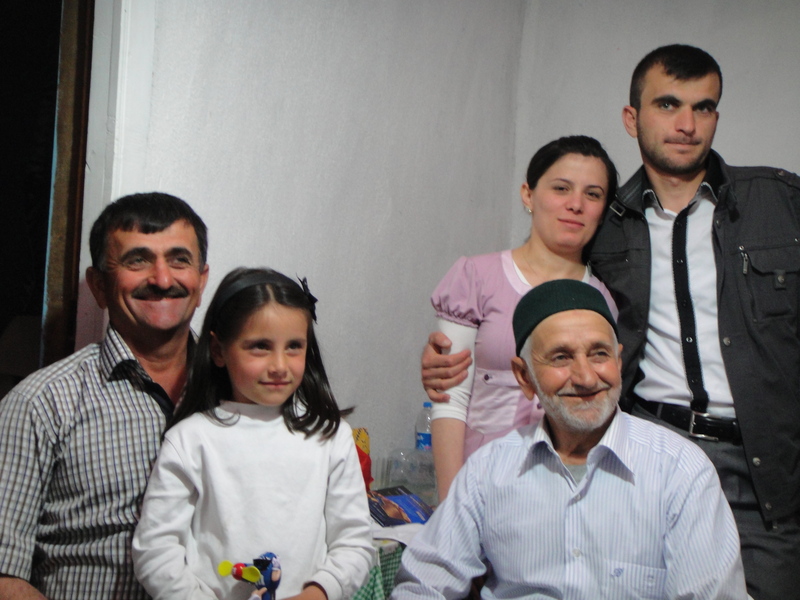 Huseyin, the family elder, is 76 years old and wears the cap that indicates he is a Hajji—one who has been on a pilgrimage to Mecca. Some members of this family are strongly religious, others less so, like most of Turkey, which is 98% Muslim, but not entirely devout. One of the pleasures of this aspect of the trip is the chance to talk frankly with ordinary people and ask and answer questions. Their English is limited and our Turkish non-existent, but Rana Erol, our guide, interprets and we get along beautifully. We present our gifts from home, they graciously accept and tell us how honored they are, and we all smile a lot. 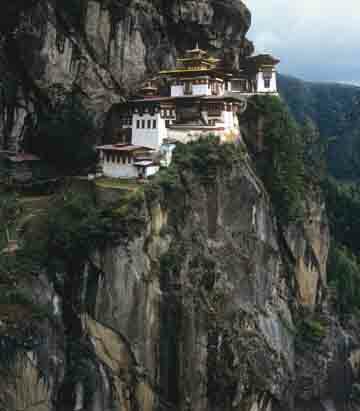 The landscape of Bhutan is beautiful–rugged mountains, green rice paddies, mango and banana groves, rhododendrons, pine forests. There are white orchids and hundreds of bird species. But it was the warm, hospitable people and their customs that thrilled us most. Happiness is a high value here. Young Lhaden was pleased to have her picture taken and to talk with us. English is the second language of Bhutan and most people, especially children, love to try it out. She told us she is the eldest of seven children and hopes to go to college, and she probably will. It’s free for all children whose grades are good. At a rural school we visited, with gifts of simple books in English, paper and pens, we were rewarded with broad smiles. When we met the youthful monks at the Punakha Dzong monastery they laughed and posed in their red robes with saffron collars as they stood near red and gold prayer wheels. Shy and polite, they were also playful, pretending to throw one of their brethren over the monastery wall. 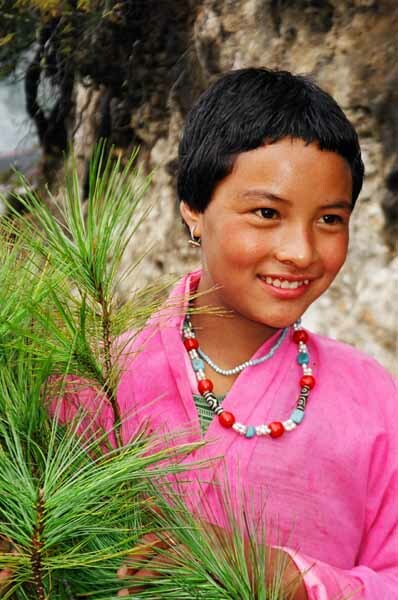 This lighthearted attitude is part of Bhutanese Buddhism. The most popular figure in Bhutan’s history is a 15th century monk, Drukpa Kunley, known as Divine Mad Monk. He was known for his shocking behavior, singing and teaching in non-traditional ways. Along with icons such as the snow leopard, dragon, tiger, and garuda (a mystical bird), penises are seen everywhere in Bhutan. They’re drawn on buildings and carved in wood, often with a carved sword, which signifies the cutting away of ignorance. Our guide told us that the phallic symbol, called “thunder dorje,” stands for protection of the home, and the many legends around it stem from, who else, Divine Mad Monk. Apparently he used dorji (“thunderbolt” in Bhutanese) to subdue demonesses. Whatever the truth of the unruly behavior of Divine Mad Monk, most men adore hearing they have a thunder dorje, instead of the standard issue.